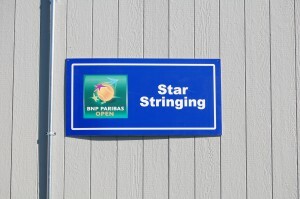 This is first year of sponsorship of this tournament by BNP Paribas. There are two things you never want to do when on the tournament grounds: Gamble or wager on match outcomes, and mention the name of the previous years’ sponsor. 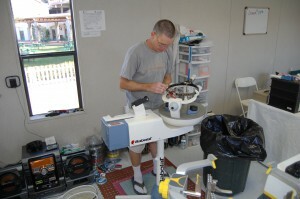 Working on a player’s racquet early in the tournament. 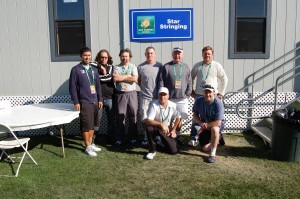 The Star Stringing team outside our trailer. Close-up of the sign on the side of the trailer. 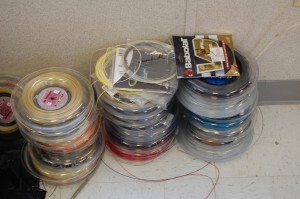 Trying to keep the players’ left-over string organized.